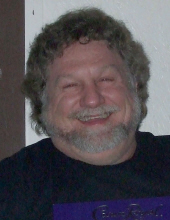 Arthur Curtis Kline, 60, of Beecher City, IL passed away at 9:20 p.m. on Sunday, April 7, 2019 in the comfort of his home. Art was born November 14, 1958, in Vandalia, the son of Stanley Lou and Nelda (Wood) Kline. He was a 1976 graduate of Beecher City High School. Art and Georgiana Livesay were united in marriage on August 20, 1978 at Spring Hill Cumberland Presbyterian Church in Beecher City where he was a longtime member. Art was self-employed with Kline Construction for many years. He enjoyed anything relating to vintage cars, John Deere tractors or motorcycles. He loved riding his motorcycle, mushroom hunting and treasured time spent with his loved ones. Surviving are his parents, Stanley Lou and Nelda Kline of Beecher City; wife, Georgiana Kline of Beecher City; children: Derrick (Tiffany) Kline of Corpus Christi, TX, Annika Kline of Panama City, FL, Brandi (Bob) Davis of Beecher City and Curtis (Alexandra) Kline of Holts Summit, MO; grandchildren: Sierra (Trey Buzzard) Kline of Beecher City, Dakota Gray of Beecher City, Drake Davis of Beecher City, Allee Gray of Bloomington, Zoey Davis of Beecher City, Isabella Davis of Beecher City and Lyric Davis of Beecher City; one great-grandson, Colt Buzzard of Beecher City; sisters: Diana (Clayton) Heil of Effingham, Paula (Zale) Rohwedder of Altamont, Wanda Kline of Jewett and Susan (Jim) Hoxsey of Donnellson and several nieces and nephews. Art was preceded in death by his grandparents: Curtis Kline, Lera (Rickett) Holste, John Arthur McKinley Wood and Leona (Holley) Wood and nephew, Jason Dye. Funeral services will be held at 10:00 a.m. on Friday, April 12, 2019 at Lockart-Green Funeral Home in Beecher City with Don Miller officiating. Burial will take place in Spring Hill Cemetery in rural Beecher City. Visitation will be from 4:00-8:00 p.m. on Thursday, April 11, 2019 at Lockart-Green Funeral Home in Beecher City. Memorials may be made in Art’s name to the American Cancer Society. Family and friends are invited to light a candle or share a story in Art’s honor at www.lockartgreenfuneralhome.com. To send flowers or a remembrance gift to the family of Arthur Curtis Kline, please visit our Tribute Store. "Email Address" would like to share the life celebration of Arthur Curtis Kline. Click on the "link" to go to share a favorite memory or leave a condolence message for the family.